Getting involved with the community is important. It raises your profile and displays you as a leader who sees the significance of giving back. 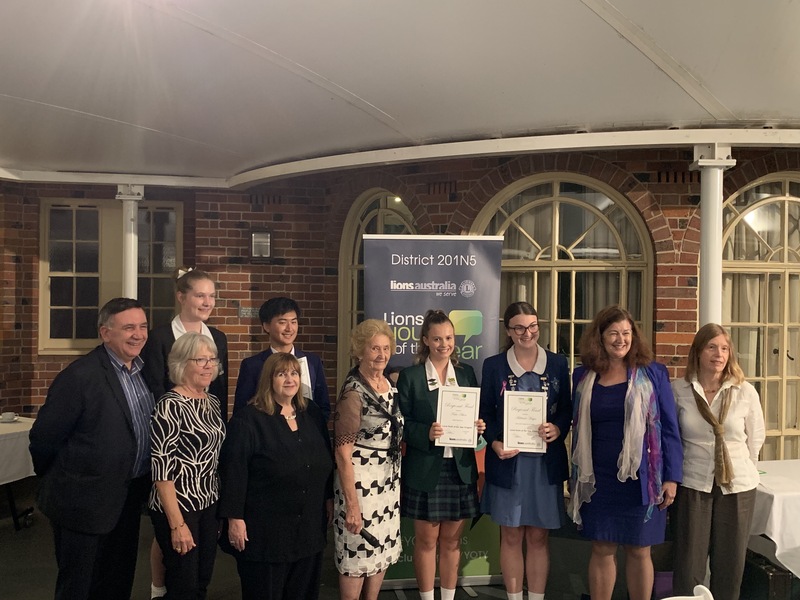 Here’s the 2019 Lions Club Youth of the Year award – in attendance was the Ku-ring-gai Mayor Jennifer Anderson, St Ives Lions club organisers and the four judges. Adrienne McLean was chief judge helping with the running of the judging process. Meeting the amazing students and future leaders was an honour. Adrienne McLean holds every 4th Thursday of the month the Professional Services Information Forum – Hornsby. This is for Business Owners, Professionals to connect, find out information on business development, marketing, sales and mindset as well as have some accountability. At this group, Professionals meet Professionals and business is realised due to the monthly connections made as well as understanding each others businesses so when the time is right, business can be done. Adrienne is involved with many community associations including being on the board of Triple H 100.1FM, the voice of the Hornsby Ku-ring-gai community. Adrienne helps with the management of the station, raises the profile and is a co-host of the popular Monday Focus – Triple H 100.1FM where Adrienne and her cohost Greg Smith interview local community leaders, politicians, charities, community clubs, and the general public. 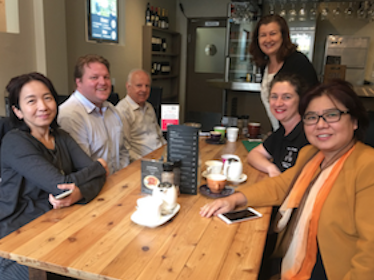 Local issues are raised, the amazing activities happening in the Hornsby Ku-ring-gai community are identified. Adrienne has been a judge and chief judge for the Lions Club Youth of the Year award since 2010. This Lions Club initiative gives Year 11 and Year 12 leaders at their school opportunities to be recognised for their leadership roles. Having gone through the intense Youth of the Year award process, a 30 – 45 minute interview and Public Speaking evening event, this can go onto the applicant’s resume and be recognised as a leader within their community. In 2018, Adrienne was a volunteer on the Turramurra Rotary – Jumbo Joy Flight. This initiative gives disadvantaged families and disabled families a 90 minute flight on a QANTAS Jumbo Jet. The flight staff donate their time to give these children, who may never have experienced a flight, an experience the children, families, parents and volunteers never forget. This Rotary initiative has been going since 1974. Since November 2016, Adrienne has been a regular participant at the Turramurra Trotters. Attending each Saturday morning at 6.15am and going for a 7km walk. There are Ultra Marathon Runners, Marathon Runners, Running enthusiasts, Cyclists and Walkers. By regularly turning up and walking , as Adrienne enjoys, fitness levels increase and connection with the community increases too. The coffee after the exercise session is a must ! Being a carer for 11 years, Adrienne has a presentation “Carers and our Society”. Adrienne delivers her overview of her family’s experience of having her father as a part of their family unit. Being apart of the Sandwich generation had learnings and accessing resources available are essential. If you are looking for a presentation on having three generations living together, caring for the parents, contact Adrienne for more details. Being a members of Toastmasters International and ST ives Toastmasters since 2002 has been a life changing experience. This organisation helps raise confidence in public speaking and leadership skills. Adrienne has gone through the training and holds a Distinguished Toastmaster award.